From the moment you start on your treatment journey, we will be right there with you. Your dedicated Patient Support Manager will work with you to help with access to your prescribed therapy. As you move forward, your Patient Support Manager will connect you with resources for the road ahead. 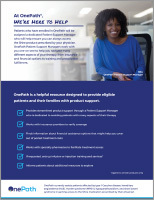 From the moment you enroll, OnePath is here for every step of your product support journey. Take a look at how we can partner with you and find out a little more about the services we offer. 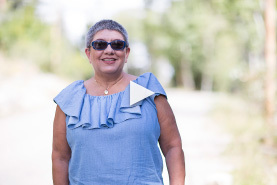 Stacey is the mother of two daughters with type 1 Gaucher disease. 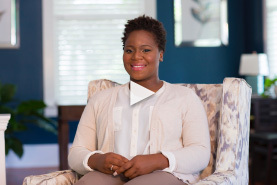 Hear about her experience with OnePath. WaShanda says OnePath assists her in accessing treatment for her son. After Eric was diagnosed with HAE, he was introduced to OnePath. 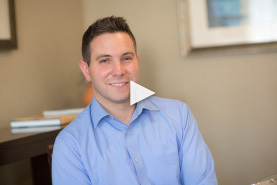 Watch to learn how OnePath helped him access his treatment. 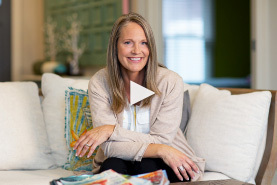 Listen to Colleen's experience with OnePath and learn why she calls OnePath her partner. 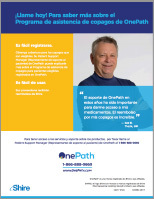 Eligible patients enrolled in OnePath can sign up for our online patient portal and our OnePath mobile app. 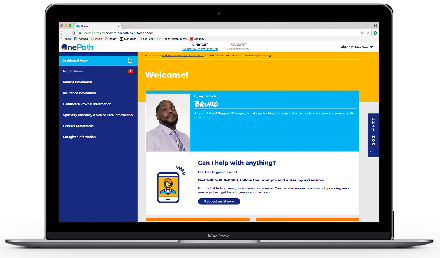 Explore information, update details about your insurance or chat live for on-the-spot support. The OnePath mobile app even lets you keep track of your treatment and symptoms with an eDiary specific to your condition. At this time the Patient Portal and the Mobile App are not available for Alpha-1 antitrypsin deficiency (Alpha-1) patients and caregivers. 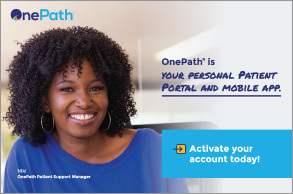 Discover product support like never before with your personal portal and OnePath mobile app. Explore the details on OnePath’s portal and mobile app, including exclusive features. 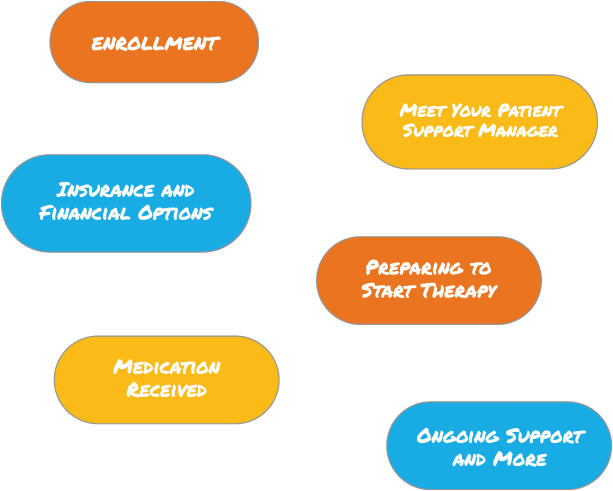 Learn more about the people and services you have access to when you enroll in OnePath. See how to make the most of the services offered through your Patient Support Manager. Need support in your area? 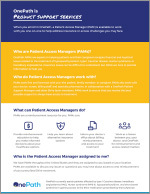 See how our Patient Access Managers can help. New to the OnePath process? Take a look at the steps involved in getting started. 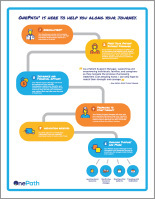 Find out how your Onboarding and Access Specialist can help you get started. At OnePath, we work to ensure the costs associated with treatment are never a barrier to patient access. Have you been prescribed a Takeda treatment administered by injection? 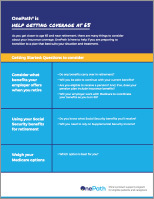 Learn about our co-pay assistance program. Have you been prescribed a Takeda treatment administered by infusion? 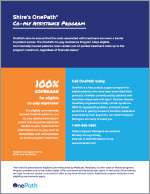 Learn about our co-pay assistance program. Nearing 65 and retirement? 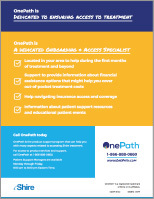 Find out how OnePath can help you navigate the insurance process.